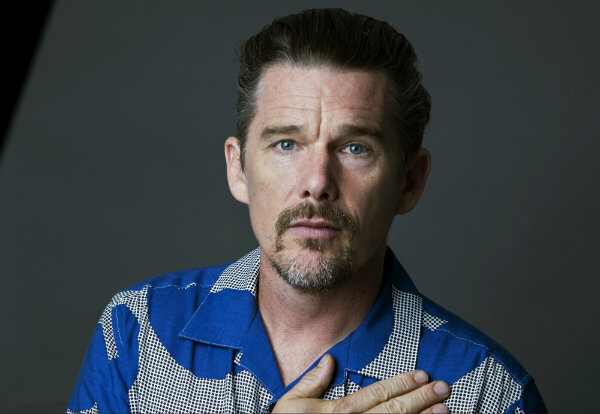 Ethan Hawke had long been enchanted by the songs of mysterious singer-songwriter Blaze Foley. Foley wrote songs like 'If I Could Only Fly," that Willie Nelson covered and would go on to become a Merle Haggard hit, and "Clay Pigeons," which John Prine covered. Townes Van Zandt and Lucinda Williams wrote songs about him after his death at age 39 — he was shot in 1989. And yet his is a name that few outside of the Austin music scene would know. This could change with the release of "Blaze," now playing in limited release, which Hawke directed and co-wrote and appears in briefly as a radio journalist discovering the legend of Foley along with the audience. It would take Austin Chronicle co-founder Louis Black to really help Hawke crack the story. Black asked Hawke if he had read Foley's wife's book. Hawke responded: "Blaze had a wife?" It was Sybil Rosen's story, and memoir "Living in the Woods in a Treehouse: Remembering Blaze Foley," that would provide the basis for the film and its exploration of his early years (yes, in a treehouse) to his decline. Once Foley's muse, Rosen, who co-wrote "Blaze" has found that he is her muse as well. "He didn't know how to tell Blaze's story. He didn't want to do a story about dereliction or addiction," Rosen said. "One of the things I love about the telling of the movie is that sadness, sorrow and loss are tremendous muses, but they're not the only muses good art can flow from. I wanted to make the point that it was joy and love and nature that unlocked his creativity and not all this loss and sorrow that was to come." Rosen is played by "Arrested Development" actress Alia Shawkat, and Foley by newcomer Ben Dickey, who is himself a singer-songwriter. The film, which premiered at the Sundance Film Festival, boasts a rare 100 percent on Rotten Tomatoes. "Blaze" is not, as Hawke and Rosen like to say, "a Wikipedia page" but more of an expression of Foley in all of his forms whether describing the merits of being a legend versus being a star ("stars burn just for themselves"), or offending everyone with drunken antics in the recording studio. "There some lines in Blaze's songs that shatter me," Hawke said in a recent interview. "And they're so simple, it's like a Matisse painting. "The movie is disguised as a biopic. It's not really a biopic," Hawke said. "It's a love story about human creativity. ... For me, he's telling the legend of a lot of people who are met with indifference. People whose creativity is real and vibrant and a part of whatever collective consciousness we have as a community." For Rosen, it's been a cathartic experience. "I'm endlessly amazed by the impact that he has had on my life and continues to have. How often do you get to fall in love with the same person three times?" Rosen said. "People ask what Blaze would think of the movie. I feel like he would say, 'I told you so. I told you this was going to happen.'" Associated Press Writer Brooke Lefferts contributed to this report. Two crises unfold in Paul Schrader's "First Reformed," which has its world premiere Thursday at the Venice Film Festival — one spiritual, the other environmental.